Resources of mineral deposits are commonly estimated using data extracted from rock cores obtained by drilling. Information of good quality and quantity is essential to achieve good estimates (unbiased and precise). Frequently, the geomodeller is required to provide an estimate of the grade of each block to be mined. Some deposits have more erratic spatial grade distributions than others, and therefore a better understanding of closely spaced samples is required. Given the importance of samples, due to their influence on the precision and accuracy of the model built from these collected data, it is deemed important to optimize their spacing (or sampling grid). The idea is to obtain information which will lead to the desired model precision while minimizing the overall sampling cost. Commonly, mineral deposit regions with high grade variability require closely spaced samples. In this paper, the variability is measured by the grades’ coefficient of variation. A chart relating the sample spacing to the estimation error for various data coefficients of variation and block geometries of three different deposits is proposed. A case study illustrates the results obtained for a copper grade, an iron grade, and an aluminum oxide grade. 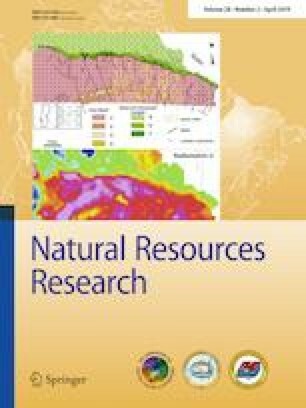 The aim of this paper is to establish a fast and reliable way to obtain the maximum error for a given sample spacing that may be used for short-term geological modeling and mine planning at different ore deposits. The authors thank CAPES (Brazilian government research agency) for providing financial support to this research and the Mining Planning and Mineral Research Laboratory at Federal University of Rio Grande do Sul for providing computational facilities. The authors also thank the anonymous reviewers for their constructive comments, which helped us to improve the quality of our paper. Matheron, G. (1973). The intrinsic random functions and their applications. Advances in Applied Probability, 5, 439–468. Retrieved December 8, 2006 from http://cg.ensmp.fr/bibliotheque/index.html.